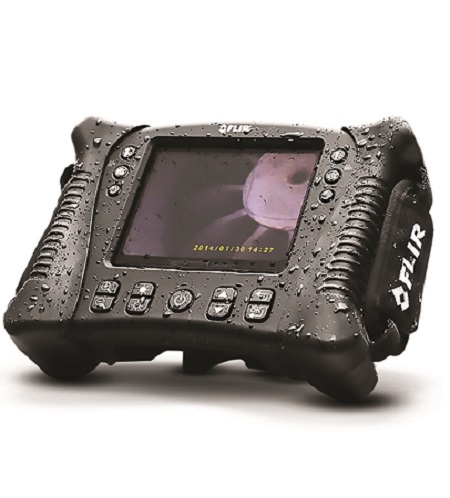 The FLIR VS70 is a rugged, waterproof, and shock-resistant videoscope with a large 5.7-inch colour LCD display. The FLIR VS70 is a rugged, waterproof, and shock-resistant videoscope with a large 5.7-inch colour LCD display. It features intuitive handset controls that enable users to manoeuvre the narrow camera probe into tight spaces to deliver vivid and sharp video and images. Advanced inspection solutions, expansion cameras, and add-on accessories enable users to expand their FLIR VS70 to address many different inspection needs.